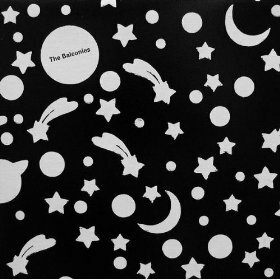 I’ll be the first to admit it – I’m a sucker for the catchy hook, which is why The Balconies’ “Serious Bedtime” wrapped itself around some nook in my brain and stayed there on a loop for about a week. The Balconies is an Ottawa-based trio, comprised of vocalist/guitarist Jacquie Neville’s potentially combustible web – her brother Stephen Neville (vocals/bass) and her boyfriend Liam Jaeger (drums). Their self-titled debut album alternates brother-sister vocal efforts with fast-paced, flashy songs that could easily be recreated live. This is one of the beautiful things about this band – they don’t rely on computers or echoed mics to produce a unique, quality sound. Each instrument’s part is thoroughly composed so that as a whole, the band sounds cohesive, not empty. It might help that all three members are well-versed and formally trained in each of their musical studies. Jacquie’s soprano vocals are pronounced and delicate, with a tinge of sad longing behind them. She can definitely stand her ground though when the song climaxes and the guitar and bass are going haywire in the background. On “Ghost Fever,” she sings repeatedly “you sold your soul you sold your soul,” and for some reason, the listener feels really good about it.